Before treating any pest or disease problem in your garden, it is important to know what it is you are treating so that the correct treatment can be applied. You may find taking a sample to your garden centre or to a local garden show (in a clear plastic bag so as not to spread the problem) will be helpful. Yellow or mottled leaves on plants can easily be mistaken for a disease when in fact it is a nutrient deficiency. In most cases plants are more likely to resist pest or disease attack if they are healthy, so regardless of the problem, some extra care for the plant is a good idea. Ensure the plant is situated in a location which best meets its needs in terms of sun / shade and temperature / humidity. Ensure the plant is not too wet or dry. Feed the plant and improve the soil conditions if necessary (you can find information about soil improvement here and fertilisers here). Use a fertiliser high in potassium, or apply potash, as this nutrient is important for increasing disease resistance in plants. Your treatment may need to include the use of trace elements to ensure the plants nutritional needs are fully met, particularly if there is discolouration of the leaves. Once nutrient deficiency has been ruled out, look for other signs of what may be causing the problems. Most insect damage can be divided into two categories – leaf chewing insects and sap sucking insects. Leaf chewing insects leave obvious holes in the leaves of plants and include grasshoppers, caterpillars and some beetles. These insects can be treated with a pyrethrum or spinosad spray such as Yates Success, or with eco-neem. Pyrethrum, spinosad and eco-neem are all effective against a wide range of insects, including the beneficial ones so should be used with care on pest problems only. There are highly effective pesticides which target caterpillars only. These have Dipel as the active ingredient. Yates Natures Way is one. These can be used on vegetables to prevent caterpillar damage without harming other insects. Sap sucking insects such as scale, aphids and mealy bugs can be much harder to see. Often the presence of black ants on the plant is the first indication of their presence. Black sooty mould on the leaves is another indicator of the presence of sap suckers. Pyrethrum and eco-neem will be somewhat effective on aphids and mealy bugs but not on scale, who have a protective outer coating. An horticultural oil such as white oil, Pest Oil or Eco-Oil will be most effective for scale and also for mealy bugs. Eco Organic Garden have a range of live beneficial insects available online which offer a very good organic alternative to using chemicals to control sap sucking insects in the garden. This method ensures that only the pest insects are being targeted and the beneficial insects remain unharmed by chemicals. Insect and pest damage is usually easy to identify but not always. Tiny mites can be very hard to see but can cause leaves to become mottled and dull. Very close inspection of the underside of the leaf may reveal their presence. Other mites which attack hibiscus leave little bumps on the leaves, similar to those caused by the psyllid insect on lilly pillies. In this case you will not see the insect but its damage will be obvious. Mites which are tiny but visible, tend to cause the leaves to lose colour and become pale and mottled. 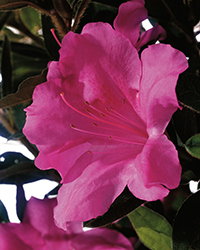 This is a common problem with azaleas, best overcome by selecting lace bug (which is actually a leaf mite) resistant azaleas. 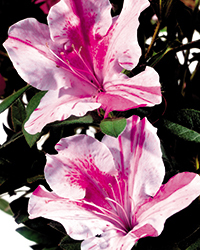 The Ozbreed Encore Azalea range includes a variety of lace bug resistant azaleas. Mites can be treated using eco-neem, white oil or pest oil or even pyrethrum. Take care to spray the under side of the leaves as this is where the mites are. Hibiscus mites and lily pilly psyllids are not easy to treat. They are unsightly but do not usually cause significant harm to the plant. All affected foliage should be removed and disposed of appropriately. The tree can be treated using eco-neem to reduce the risk of reinfection, and new growth should also be treated, however the treatment is not completely effective and there is a high probability of re-infestation. Choosing psyllid resistant lily pillies is by far the best way to avoid this problem. Straight and Narrow™ Syzygium australe ‘SAN01’ PBR, Red Head™ Acmena smithii ‘BWNRED’ PBR and Sublime™ Acmena smithii ‘DOW30’ PBR are all psyllid resistant varieties of lily pillies. Slugs and snails are not insects but molluscs, and can cause significant damage in gardens. Use of snail pellets whose active ingredient is Iron EDTA (iron chelates) such as Multiguard Snail and Slug Killer will be most recommended for gardens which have pets or wildlife, as the iron chelates have relatively low toxicity to animals other than molluscs (which includes slugs and snails). Care should always be taken with snail pellets as they can be highly dangerous to pets, young children and wildlife. Fungal diseases can be problematic in gardens, with powdery mildew being the most common and most easily treated. 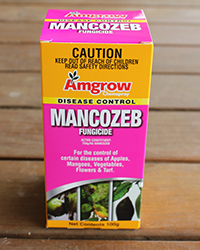 Rust and black spot are also common fungal diseases which affect foliage. These can all be treated with fungicides such as Mancozeb or Eco-fungicide. Copper based fungicides are often recommended for use on fruit trees where a greater range of fungal diseases may be present. Fungicides containing triforine or phosphoric acid (eg Yates Anti-Rot) are systemic fungicides suitable for treating trees and shrubs at risk from phytophthora and collar rot fungi. These products can be particularly useful to treat trees after flooding or water logging when the risk of fungal diseases is greatly increased. All pest and disease control should be done in conjunction with attention to general plant health.